Kristen Streitenberger, PA-C, joined the Department of Obstetrics and Gynecology at the Medical College of Wisconsin in February of 2018. She brings years of experience in gynecologic oncology from Aurora Health Care in Milwaukee, WI and Advocate Health Care in Chicago, IL. She earned her Bachelors of Science in 2009 as well as her Masters in Physician Assistant Studies in 2012, both from Grand Valley State University in Grand Rapids, MI. While working through school she also worked as a certified nursing assistant as well as a pharmacy technician. Kristen enjoys spending time with patients and getting to know them on a personal level. She feels it is important and beneficial to provide patients with comprehensive care in a team approach. As a surgical physician assistant she also enjoys working in the operating room and assisting the surgeons in the often complex and challenging surgical cases. She has particular interest and skill sets in assisting with robotic surgery. 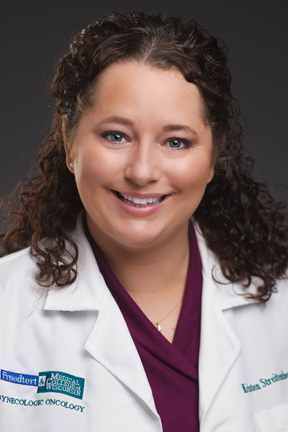 Kristen is board certified by the National Commission on Certification of Physician Assistants (NCCPA) and is a professional member of American Academy of Physician Assistants (AAPA). She has completed the Comprehensive Colposcopy course from the American Society of Colposcopy and Cervical Pathology (ASCCP) in 2014. Kristen sees patients in the Courage Clinic inside the Cancer Center on the Froedtert Hospital Campus. 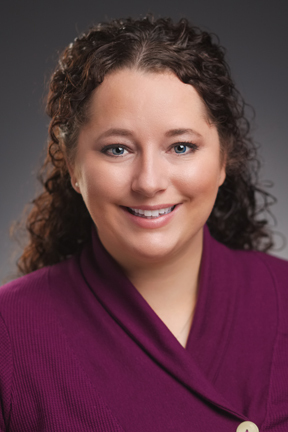 Kristen lives in Wauwatosa and enjoys spending time with family and friends. In her free time, she does projects around the house and enjoys spending time with her dog. She also likes reading, baking, traveling, brunching, going to Packer games and enjoying the Wisconsin summers. Our gynecologic oncology team of providers shares information on “Surviving and Thriving with Gynecologic Cancer”.